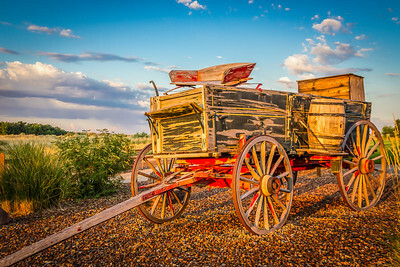 A collection if images from iconic destinations and unique finds in the southwest region of the United States. 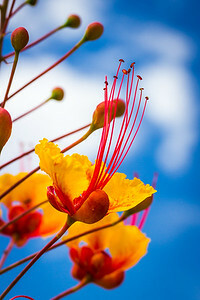 A close up view of a bloom from the Red Bird of Paradise plant. 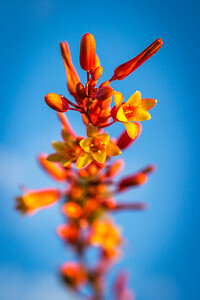 A close up view of a bloom from the red yucca plant. 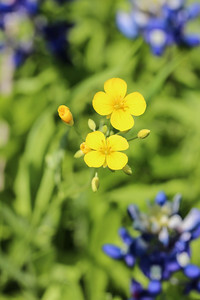 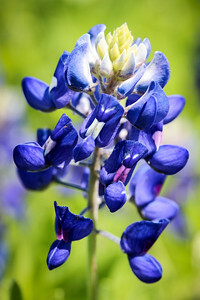 A close up view of a single bluebonnet bloom. 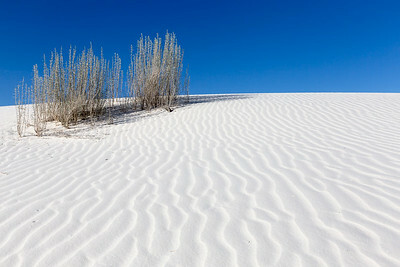 A few scrubby bushes break up the stark contrast between the blue sky and pure white sand. 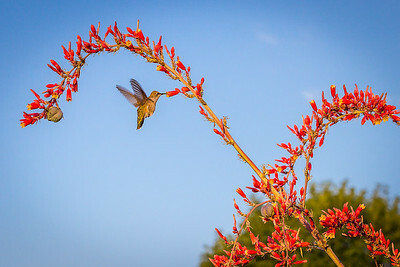 A hummingbird feeds on the nectar from a red yucca bloom. 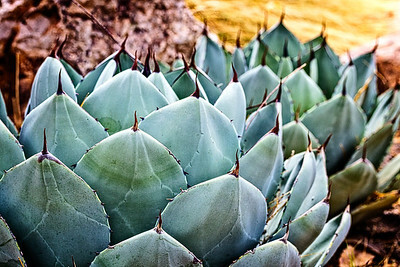 A hummingbird is captured feeding on the sweet nectar of a Red Yucca bloom. 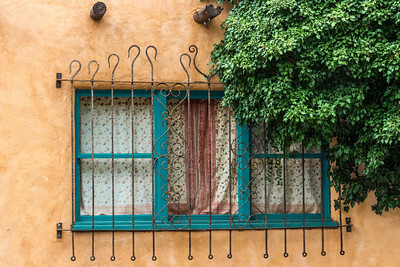 An adobe dwelling in downtown Santa Fe, New Mexico with colorfully dressed window. 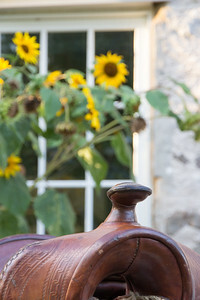 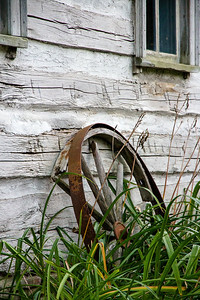 An antique buckboard wagon, also known as a chuck wagon without the canvas. 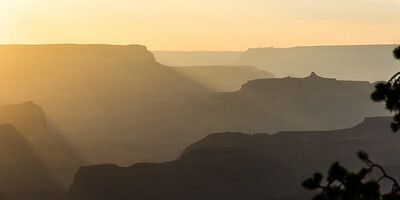 A panoramic view at sunset from Yavapai Point at the south rim of the Grand Canyon in Arizona. 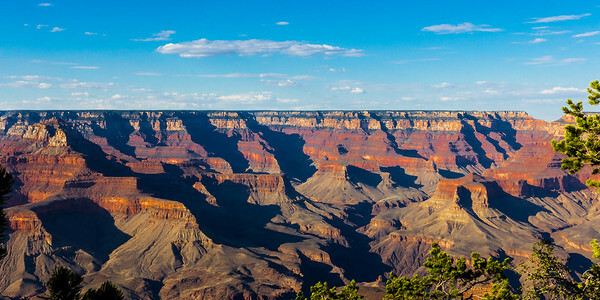 A panoramic view from Yaki Point at the south rim of the Grand Canyon in Arizona. 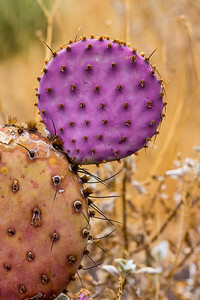 A panoramic view of the colorful Painted Desert in Arizona. 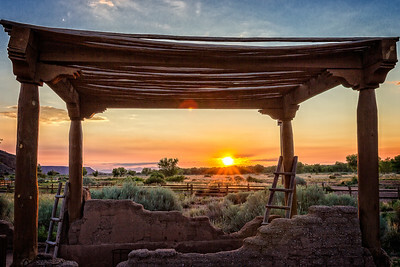 A Pueblo shelter is illuminated by the rising sun at daybreak. 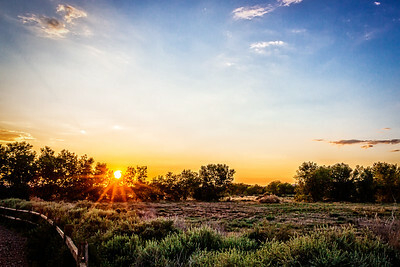 At sunrise, a star burst appears through the trees. 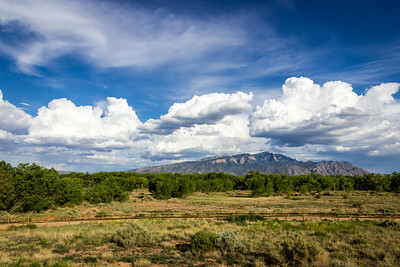 A view of Sandia Peak in the Sandia Mountains of New Mexico. 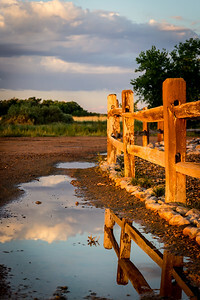 A wooden rail fence is reflected in a puddle after an early morning rain. 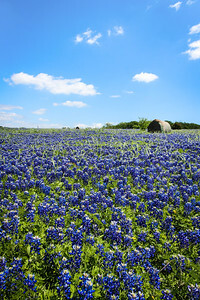 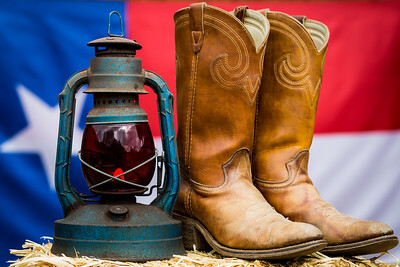 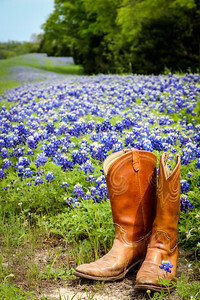 A worn and weathered pair of boots rests in a field of bluebonnets. 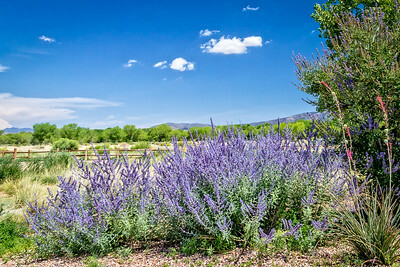 Beautifully landscaped grounds at the Hyatt Tamaya Resort in New Mexico.